On my radio show today, I had a conversation with Dustin Strobel, nursery manager at a Sloat Garden Center, about careers with plants. In the course of the discussion, I mentioned my favorite garden plants for the San Francisco Bay Area and a listener asked if I'd post them on this blog. So here we go. Dustin also mentioned his favorite plants but even though he's the professional nurseryman, I think my picks are better so I'll list mine first. All my comments pertain best to the San Francisco Bay Area's climate, where there's little or no frost. Bougainvilla, Spectabilis. 15-20 foot tall, drought-resistant when established, and truly "spectabilis." Bougainvillea, James Walker. More open plant habit than Spectabilis but the color is super--the hottest pink. 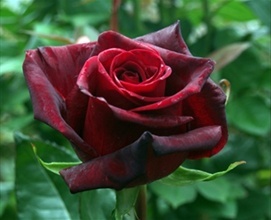 Rose, Black Magic. A great garden rose for cutting. This gorgeous flower (and yes, half of them look that good) lasts almost two weeks in a vase. It's mildew-resistant and so in the Bay Area, doesn't need to be sprayed. It is, however, a tall, gawky plant. 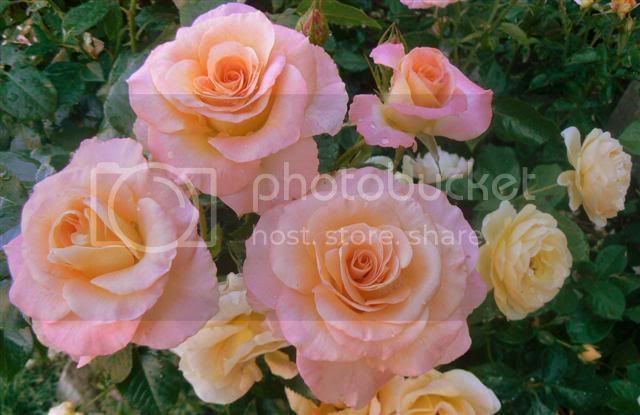 And if you want long-stemmed single roses, you need to disbud--that is, pinch out the side flower buds as soon as you see them. 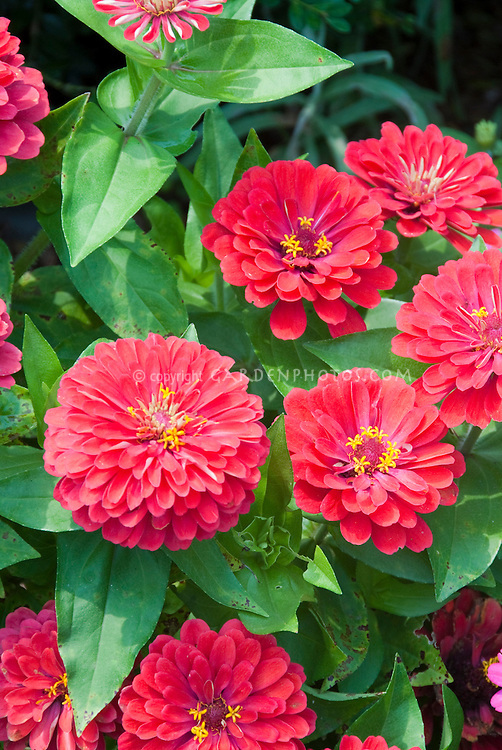 Zinnia, Magellan Coral. Available in six-packs for just a few bucks, these are annuals but flower machines, blooming nonstop on compact 12"-tall plants from May through November. The actual color is more coral and less pink than in this picture. UPDATE: I find Dreamland Pink to be even better: a bit shorter and bushier and a much nicer color--it's like that in this picture. But I've seen it available only in seeds, which you can get from Park Seed. Meyer Lemon. These are a bit sweeter than standard lemons but they're far from oranges. In addition to the good fruit, the 5' tall by 8' wide shrub is ornamental. That picture only mildly overstates how prolific it is. 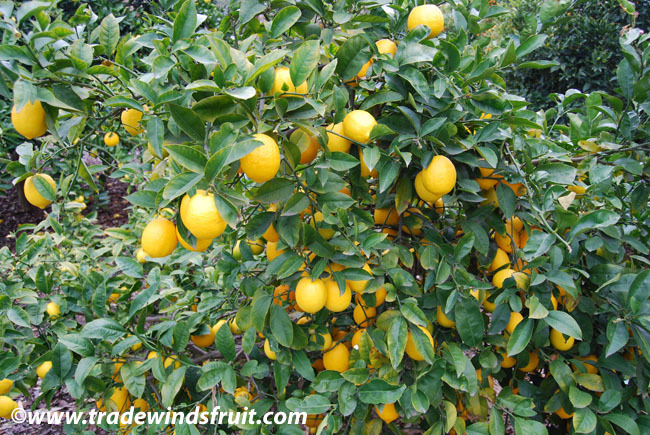 Do remember that all citrus are very heavy feeders--That means that an orange, lemon, or grapefruit tree with a four-foot spread, it needs about three pounds of heavy-nitrogen fertilizer every year, divided into three doses: perhaps April, July, and September. 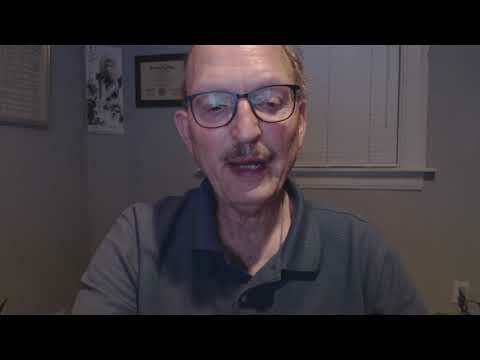 My guest recommended using Maxsea acid plant food. Other experts recommend using any old high-nitrogen fertilizer, even lawn fertilizer, which is much cheaper. Poppy, Drama Queen. Surreal 4" flowers on a 4' tall plant. If I were making a movie about a utopian future, this would be part of the landscape. 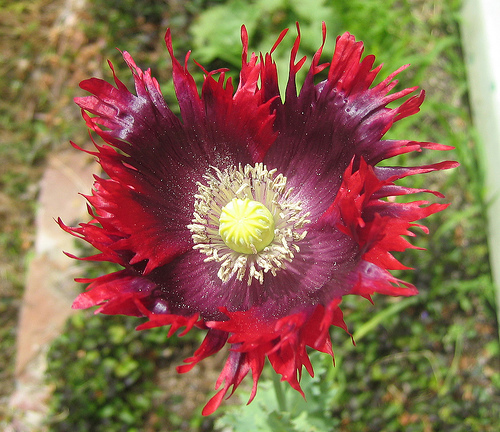 The problem, alas, with poppies is that they bloom for just a few weeks and then look like crap for the rest of the year. So you might want to buy a 4" pot of it and one of Poppy Naughty Nineties mentioned below from Annie's Annuals, let 'em bloom and when seed pods form, harvest the seeds, save 'em in dry place, then plant 'em in 3-4" pots in November or December and come spring, you'll have brand new plants plus plenty to give away. Argyranthemum, Comet Pink. These are classic 1 1/2" daisies in clear pink, in profusion, constantly for eight months in a row. Best of all, they completely cover the 2-foot wide symmetrical mound. By December, they get leggy, so take cuttings, dump the plants, and in early spring, plant the rooted cuttings. 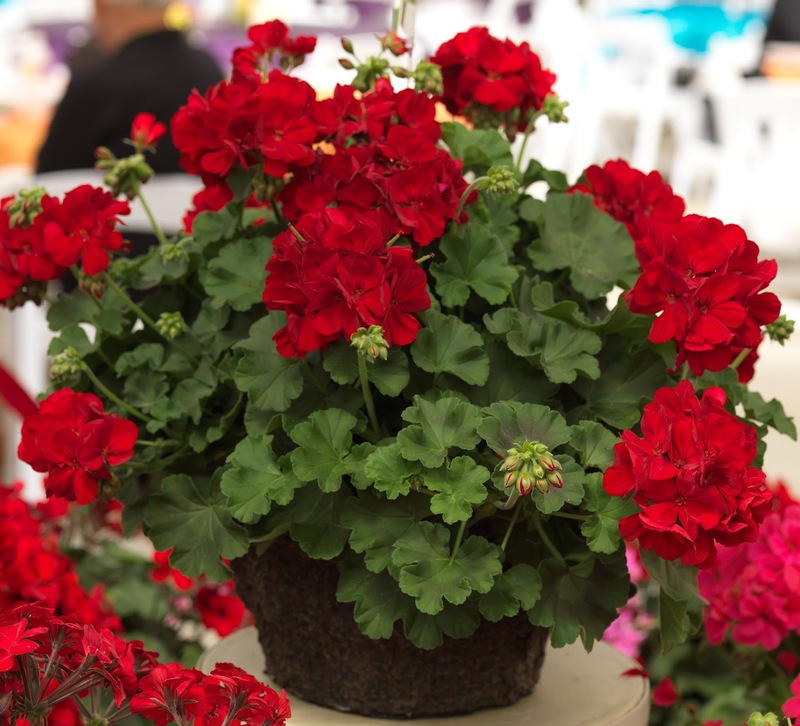 Geranium, Calliope Dark Red. (sold at Home Depot as Big Red.) These are too big for flower pots. They can get to be two feet in diameter in just months. But if you have the room, this is a great geranium. It is a true brilliant red. Not dark as its name suggests, just a solid rich red--no orange tones like the usual geranium. Impatiens, Xtreme Lavender. (if your area doesn't get downy mildew). There are other good impatiens in the Xtreme and Accent series but I find this color particularly attractive. And the plants are vigorous, quickly growing into a 8"-tall mound. Bird of Paradise. 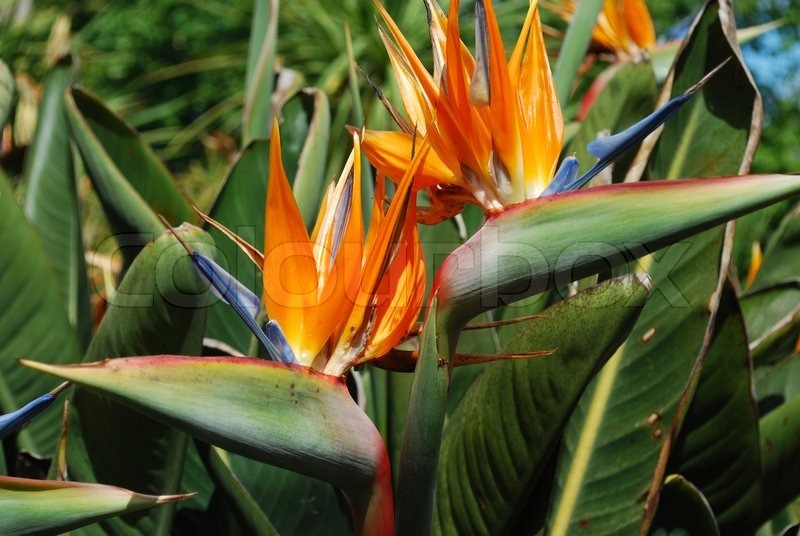 This is the quintessential tropical plant but it will grow wonderfully in much of the Bay Area. The six-foot-tall and wider shrub is great under an eave as long as it gets lots of sun. Tomato, Early Girl. I've tried every darn tomato that's claimed to be the best-tasting: Brandywine, Cherokee Purple, Big Beef, Better Boy, and Park Whopper, and in the end, at least here in Oakland, Early Girl is always the best-tasting. Update: I have a new fave: Despite my not liking orange-colored tomatoes, the best-tasting and most prolific tomato I've ever grown is Orange Paruche, available also from Park Seed. Kumquat, Fukushu. Whether or not you like the taste of kumquats, this is a most ornamental plant. 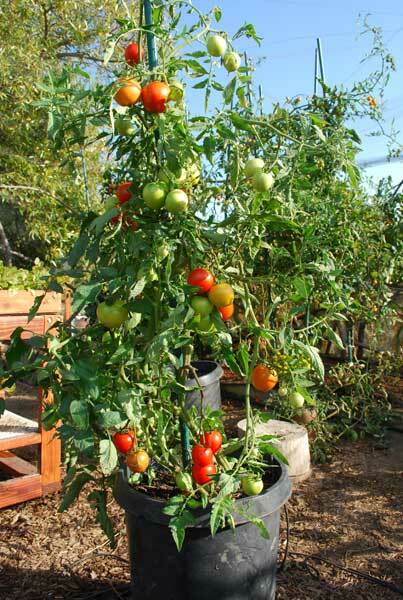 In China, it's often grown in pots as seen here, but can grow in the ground in the Bay Area. Viola, Denim. This is my winter savior. (Also viola morpho.) When everything else is dull, ratty or dead, this is producing flowers like this on a disease-free, 8" plant. Available in six-packs for just a few bucks. Now, let's turn to the recommendations of the guest on my radio program, Dustin Strober. Rose, Double Delight. Yeah it's fragrant but it's gawky and mildew-prone. Poppy, Naughty Nineties. Yes, it's great. Almost as good as Drama Queen. Blueberry, Bountiful Blue. He was big on it. Tibouchina. 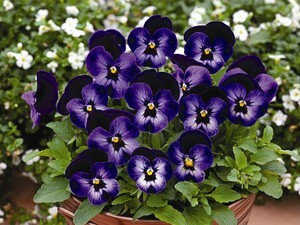 The flower is a gorgeous royal purple, which cover the 6-to-8-foot shrub for months at a time. 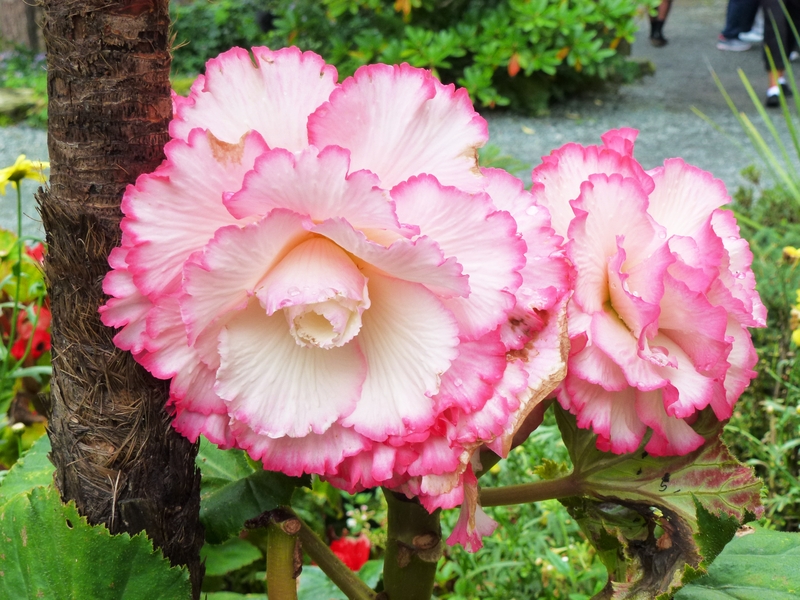 A caller mentioned the wonderful tuberous begonia. 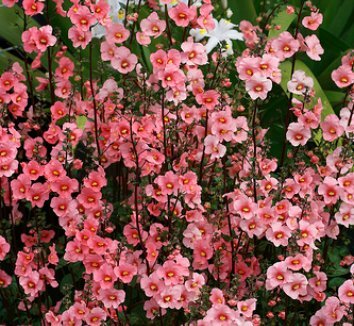 A shade lover, many of these trail and so are perfect for a hanging basket--if it doesn't get destroyed by mildew. Lilac. Blooms a few weeks and then for the rest of the year, it's a gawky shrub. Iris. Blooms for two weeks and then, yeah, it has, year-round, decent lance-shaped leaves, even variegated, plus it's drought resistant, but nah. Primrose. There are thousands of types, but I'm talking about the common ones they sell in the supermarket. They bloom for a few weeks in the winter, get damaged by rain or squirrels, and then, it's to the garbage with them. Not worth buying. You want winter blooming on a compact plant? Try the aforementioned Viola Denim and, even better, Viola Morpho. HI Marty, thanks for this great list. 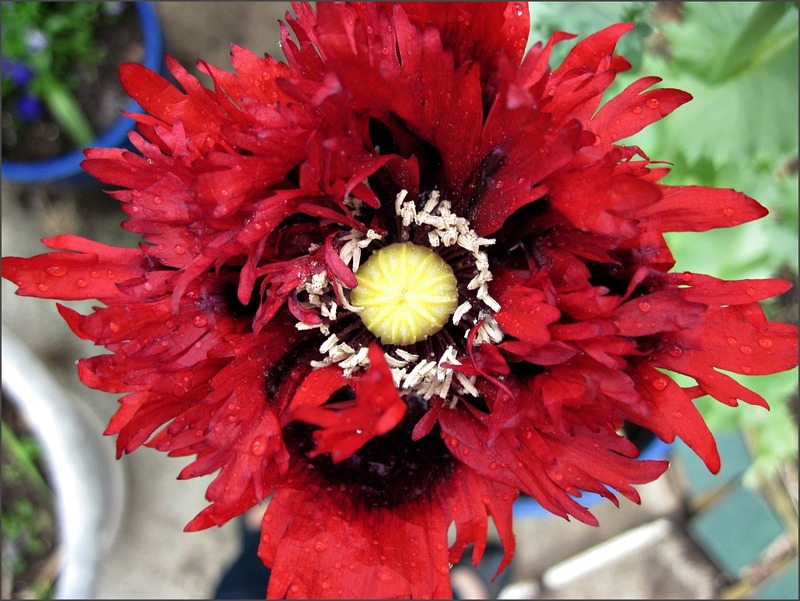 I use a lot of these plants in my designs, but the two amazing types of poppies you listed are new to me, and those two rose varieties are just stunning! One question: do you have a bay area nursery resource for these gorgeous plants? I live in West Oakland, and I was wondering if you know of a place (nursery, online, etc.) 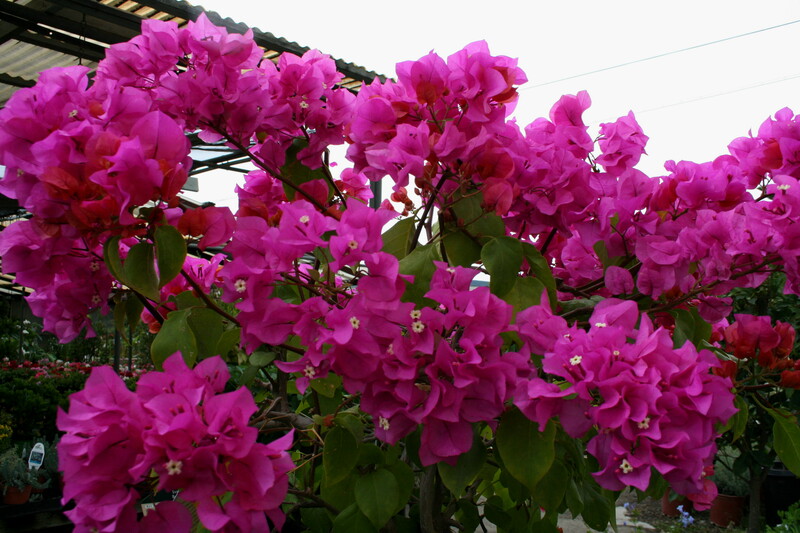 where I can buy Bougainvillea (the bigger the better... 15+ gallons)? Or, are options limited to starting small and growing from there? It may be a little late in the season but Home Depot would be your best bet both for likelihood of availability, selection, and price. If they don't have it, call East Bay Nursery. If they don't have it, try Berkeley Horticultural Nursery. If they don't, try The Dry Garden.